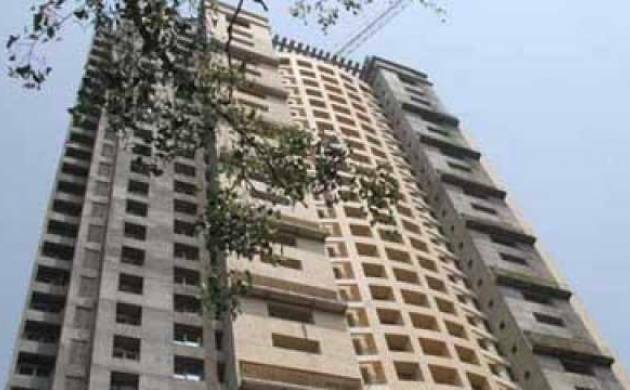 Two former army chiefs—General N C Vij and General Deepak Kapoor—and several other retired military officials have been named by a high-level inquiry committee appointed by the defence ministry for their alleged complicity in the Adarsh Housing Society scam in Mumbai. The probe panel also mentioned three retired Lt Generals G S Sihota, Tejinder Singh and Shantanu Choudhary—and four Major Generals A R Kumar, V S Yadav, T K Kaul and R K Hooda—in its over 100-page report, citing a range of violations and irregularities. The apartments in a tony part of town in Mumbai were meant for the families of Kargil heroes. But army officers, politicians and bureaucrats were allegedly allotted flats in violation of the rules. Seen as a symbol of corruption, the Adarsh scam had kicked up a huge political storm after it surfaced in 2010, leading to the resignation of then Congress chief minister Ashok Chavan. Sources said the defence ministry report is a validation of the findings of a Court of Inquiry by the Army in 2011 which had probed the roles of a number of military officials in the scam. According to the findings of the probe, Gen Vij appeared to have provided a “protective umbrella” towards efforts in facilitating the alienation of the land in question. It said at no stage did he raise any questions on the matter, nor did he flag any security concerns during the annual security review as the Army Commander or otherwise. The report said it was known that he had a “vested interest” in the matter, the sources said. About Gen Kapoor, the report said though he was not directly connected with the case, he was not “well advised” in accepting a membership of the society, adding that that it did not seem he had adequately weighed the implications of accepting a flat in the complex. The Indian Navy had raised security concerns as the 31 storey building overlooked several of its key installations. The housing complex, built on defence land, was originally for Kargil war heroes and those who had lost their spouses in the war. The defence ministry probe found a number of other senior military officials guilty and said all those found involved in the scam or those who had turned a blind eye to the irregularities should not be engaged in any employment or services by the government. The Bombay high court, in an order last year, blamed members of the housing society, who it said happened to be close relatives of highly-placed bureaucrats or related to politicians or ministers, for conspiring with them to grab a plot.Former navy chief admiral Madhavendra Singh, who was also allotted a flat in the housing society, has also been named in the report. The report said though he was not involved in the scam, he was ineligible to become a member of the housing society as he gave a misleading undertaking stating that he did not own any house in Mumbai. According to the findings, almost all the military officials found guilty in the scam were given flats in the complex. Then Defence Minister A K Antony had on December 9, 2010, ordered a CBI probe to fix responsibility among armed forces and defence estates officers in the scam.The probe agency was also asked to look into commitments made for allotment of flats in the society for Kargil widows and martyrs’ families. The preliminary findings of the ministry’s probe brought out a “criminal conspiracy” at the local level in the Army and defence estates to give up the land, which was in the Army’s possession till 1999-2000, in favour of the housing society.